The shop is really coming together, slowly, but surely. When you are trying to piece vintage fixtures together it's not as easy a ordering a bunch of metal racks. I think it is worth it though and I am really excited about some of the things I found last week. 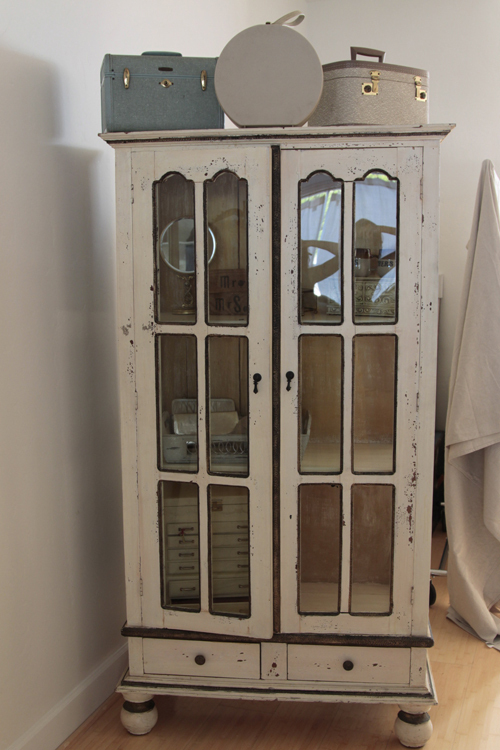 The first is this beautiful cabinet that I have been coveting for a long time, from The Vintage Emporium here in Long Beach. I want to use it for wedding accessories. Secondly, I bought this shelf at a thrift shop and it's the perfect size for shoes! I will probably need to strip it or paint it, it's kind of an icky blue color. This is the love of my life (shhh...don't tell my husband), no seriously, when I saw this printer's cabinet at the flea market, my heart started to beat faster. I thought for sure it had already sold and if not it would be extremely unaffordable. It was a bit of a splurge, but completely worth it. It will be a focal point in the shop and it's a good thing because it is too heavy to move any further back. 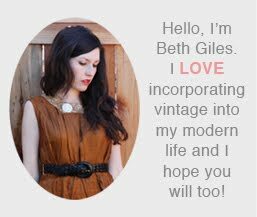 So proud of all you are doing, Beth! It is going to look adorable! It all looks amazing! I feel the same way about that printers cabinet - shouldn't the drawers be perfect for storing jewelry? !